As we were leaving Savannah during our trip, a sign for an antiques shop caught my eye. We were planning to leave the city but made a minor detour instead and chanced upon one of the Most Miraculous places on Earth - Jere's Antiques. 33,000 sq ft of antique furniture. 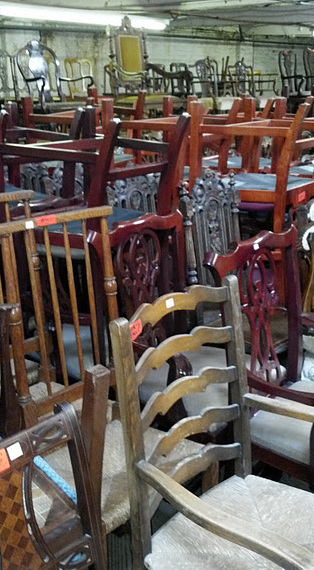 Chairs, armoires, tables...anything you can think of. All stacked upon stacked upon stacked upon each other in what seems like an endless parade of rooms. 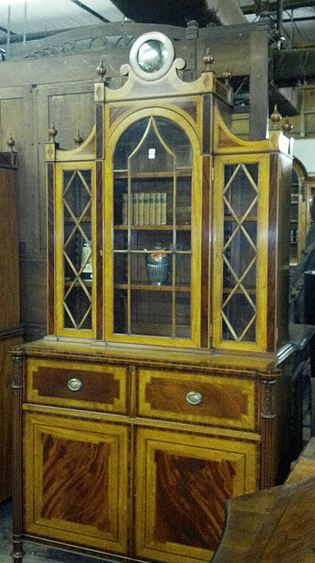 This GORGEOUS armoire was part of a set. The pair was around $42,000. Unbelievable to look at. One of the pieces that truly stole my heart - this display console had the most amazing mint green interior! I wanted it so badly. Julianne and I bought a piece very similar to this one for Mason's nursery. Ours was more petite in scale and not as decorative, but we bought it for $15. 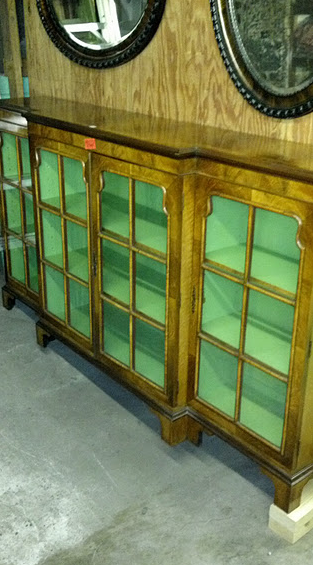 This piece was $1,000+...I'm sure its provenance is more intriguing than our Craigslist find. 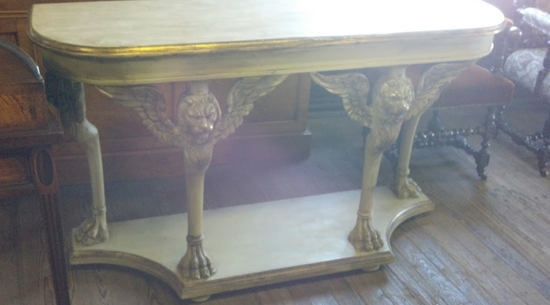 I think lions need to make a comeback...and when they do, this console table would be perfect. THE CHAIRS!!! Oh, the chairs! 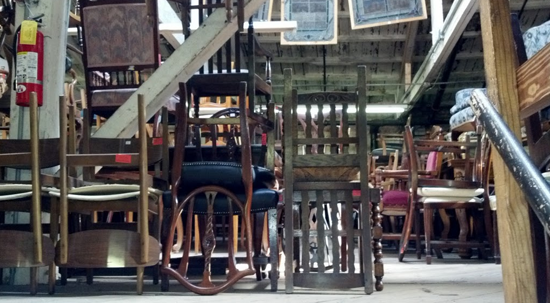 This is the main reason why I fell in love with this warehouse of antiques...the $42K armoires are neat and all, but the flabbergasting assortment of chairs was enough to shock me into sheer euphoria. This is the view walking up the stairs into one of the rooms full of chairs. This picture doesn't do this space justice...you are seeing about 5% of the assortment available. These darlings gave me major pause. I have never come across a similar back and their sweet profile was just beautiful. I think he was asking about $450 or so for the set of 6 which I found quite reasonable. Oh, and by "he," I mean Jere himself. He came over to Carter and me as we looked at these chairs and gave us quite a presentation with quite a personality and I was fascinated. I like that the owner of a 33,000 sq ft warehouse with likely millions of dollars in merchandise is walking around talking to customers. 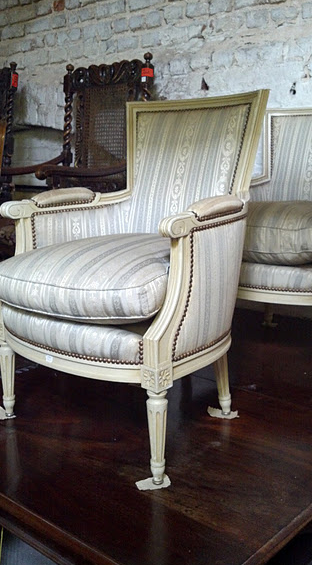 I was not keen on the fabric of this chair pair but they too had a lovely diminutive profile that made me love them. 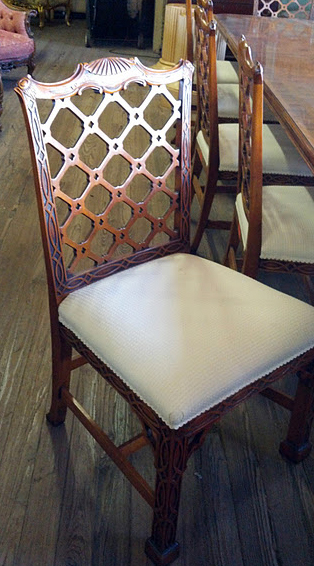 Likely my favorite chair in the whole lot that I saw...how could you not love all the Chinoiserie details?? The chairs were a set of 12 selling for about $12,000...and I would part with every bit of that for these chairs if I had it. 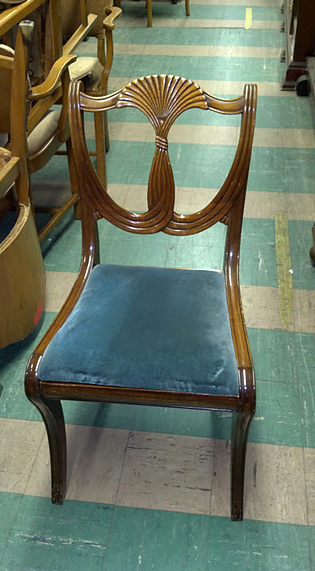 And finally, the chair that was the actual contender for coming home with me. I'm in search of a unique desk chair and this one ALMOST made it. 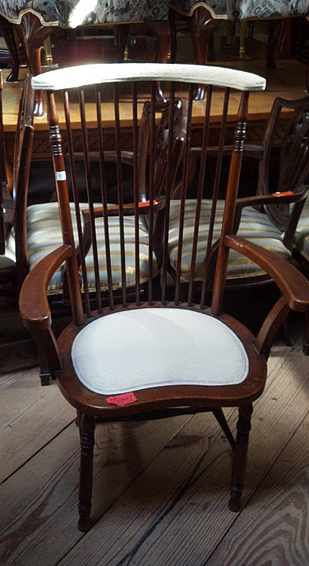 It was incredibly comfortable and I don't often see a Windsor chair with the unique upholstered "headrest". I sat in it 700 times...I made Carter sit in it...and we both decided that we loved it. But for some reason, I just couldn't envision it in my eventual home office. I saw it in our bedroom, in our living room, in a guest room...but we don't need a chair for any of those areas. So sadly, it stayed. I regret leaving it because I loved it so, but I'm not sure I would have put it to good use. Gah! Maybe I would have. Who knows. What we thought would be a five minute "peek in the window" stop turned into 1.5 hours or so of poking around this enormous warehouse. 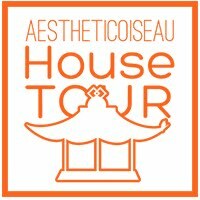 Carter and I really enjoyed it and it was fascinating to see so many styles put together in one place. 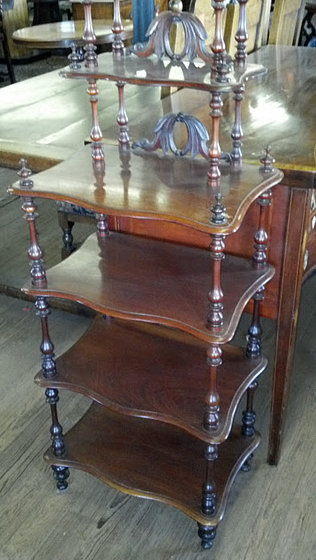 Make sure you check our Jere's Antiques if you are ever in Savannah! How did you ever get out of there without spending the rest of your life's income!!!!!?????? DELICIOUS!!!!! !